How to Use DIB Converter? Download DIB, which stands for device-independent bitmap, is a bit-mapped graphics format that typically has a .bmp extension and is used by Windows. Files in this format are supported by a wide variety of applications and well-known to many computer users. The downside of DIB format, however, is the size of files, which is very large and not suitable for sharing of DIB images over the Internet. If you want to send images saved in DIB to your friends or colleagues via e-mail or publish them in your blog or online photo album, consider downloading DIB converter. 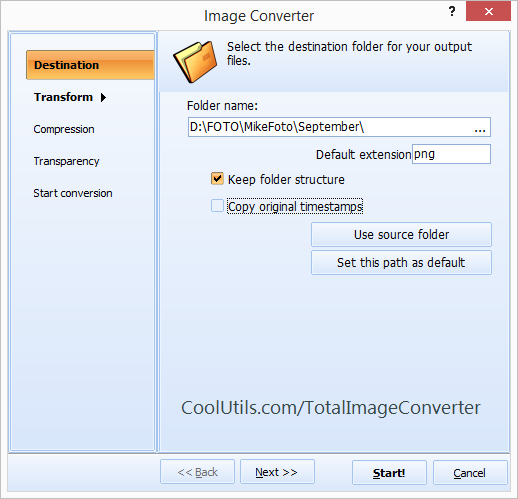 This is a specialized image converter designed to convert DIB files to other formats, such as TIFF, JPEG, GIF, PNG, etc. If you want to get a program that is different from Paint (simple graphics painting program included in Windows by default), you should consider downloading all-purpose image converter. Unlike a dib convertor, such program can be used to convert DIB to JPEG, TIFF, JPEG, RAW, PNG, BMP, PSD, TGA, etc. as well as vice versa. 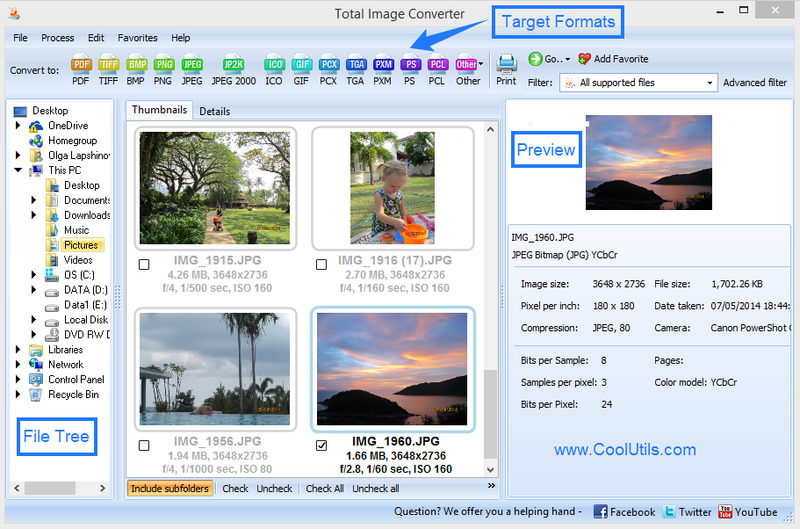 One of the best all-purpose image converters is Total Image Converter developed by CoolUtils. This program is available for free use for 1 month and can easily be downloaded from the Internet. You can use this converter regardless of the language you speak: Total Image Converter supports 14 languages including English, Russian, Spanish, Italian, French, Korean, Chinese, Swedish, Portuguese, etc. Intuitive interface - the program has 3 distinct sections, clearly marked buttons and built-in step-by-step wizard. 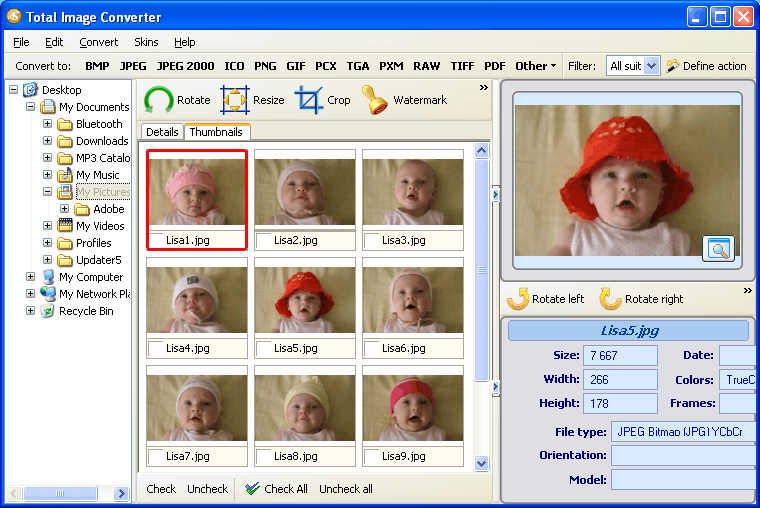 Extended functionality - the converter allows you to not only convert image files, but also to edit them by resizing, rotating, and cropping. High speed - the application is perfect for conversion of numerous images at a time because it features batch conversion option. It allows to process DIB images in batches in a matter of seconds. The first 30 days are free. You do not have to pay a penny during the trial period. 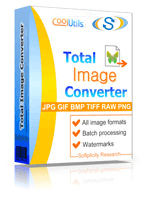 Once it is over, you are free to decide whether to buy Total Image Converter or not. All upgrades are free to registered users. Use BAY Converter to save time. It's easy.